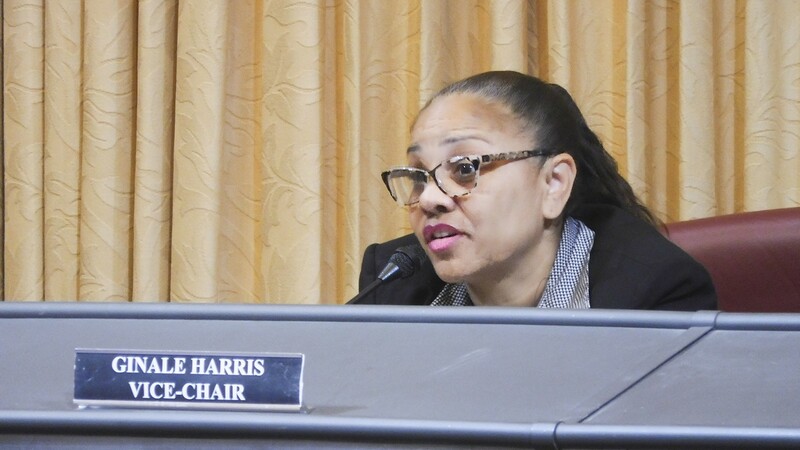 Harris has clashed with the city administration and commission staff. An even bigger rift opened up over the question of who has the power to appoint the commission's inspector general. Landreth and Parker have both argued that because Measure LL didn't amend the city charter to give the commission the power to hire and directly supervise the inspector general, then the job, by default, is controlled by the city administrator. They further argued that the enabling ordinance can't change this fact. Only another amendment to the city charter through a ballot measure can. At the city council's June 20 meeting, when the police commission's enabling ordinance was up for its first vote, Councilmember Rebecca Kaplan remarked that she found this degree of control by the city administrator over the commission's inspector general an untenable situation due to the fact that the OIG will often be investigating policies and practices that the city administrator is responsible for. The OIG would therefore be put in a position of having to investigate and criticize their own boss. "It's really not viable," Kaplan said. As a result, the council ultimately disagreed with Landreth and Parker, siding instead with what voters thought they were voting for: a truly independent police commission. They enacted an enabling ordinance in which the inspector general is hired by and supervised directly by the police commission — and only the police commission. "This may be challenged, and it may delay the work of the commission going forward," said then-Councilmember Abel Guillen just before the final council vote, referring to the possibility that some entity (like the police union) could bring a lawsuit to block implementation of that part of the ordinance. "But I'm erring on the side of additional independence." Two weeks later, during the second and final vote on this version of the ordinance, Landreth made an unusual public remark at the council meeting criticizing the council. "The legal advice provided to all of us by the city attorney and by outside counsel, and made public in at least one briefing and posted on the city's website, opines that the enabling ordinance, as written, and before you for final adoption tonight, contains provisions that violate the city charter as it relates to administrative functions," Landreth warned. She then compared the city council's actions to those of the Trump administration, saying that "as we are all living through what is happening at our national level of government, we should tread very carefully and not willfully ignore the rule of law." Grinage, referring to the resistance the commission has experienced from Landreth and Parker, said, "I think the administration is definitely resentful of this whole shift in power. But that was the whole point of Measure LL. It was to take this power away from them, given their ineptitude of holding the police accountable." On paper, the new Oakland Police Commission is one of the most powerful police oversight bodies in the nation. Measure LL and the enabling ordinance give it the power to accept, reject, or modify almost any policy of the police department. It can write new policies entirely on its own, subject only to a veto by the city council. It can require police commanders and the chief and other city officials to testify on any matter before it and can use subpoenas to demand the production of records or witnesses. The commission's CPRA investigators can probe cases of police misconduct, with a priority on uses of force, shootings, racial profiling, and First Amendment assemblies, and a discipline subcommittee of the commission can punish officers who violate rules. But the commission's first year, in practice, saw the police department and city attorney refuse several times to provide answers to basic questions and hand over key information. In some instances, the commissioners themselves also appeared to be of out order by attempting to conduct impromptu — and unlawful — hearings on matters that hadn't been properly noticed on their agendas. In one case, Commissioner Edwin Prather attempted to question Assistant Police Chief Leronne Armstrong about federal Immigration and Customs Enforcement activities in Oakland, including if OPD had received any recent subpoenas from ICE. "Commissioner Prather, the discussion about ICE was not properly noticed on the agenda," said Allison Dibley, the deputy city attorney working for the commission at the time. "So, any further discussion would be in violation of the Brown Act." Prather called Dibley's advice "a problem," and alleged that she was "shielding" police from scrutiny. But there hadn't, in fact, been any notice that the commission would discuss ICE activities in Oakland. Prather, however, saw the city attorney's effort to shut down the discussion as an unnecessary censure of the commission's ability to discuss timely issues at its meetings. And it was part of a larger pattern in which OPD officials who appeared before the commission said very little of substance and refused to provide basic information about controversial topics with the city attorney backing them up. For example, at the same meeting, Armstrong and Dibley also shut down a discussion about something that had been properly noticed on the agenda and was clearly within the commission's purview. During a question-and-answer period about a recently published report from OPD's federal court-appointed monitor that touched on numerous OPD policies and practices, Commissioner Harris asked Armstrong if he could provide a list of pending audits and reviews within OPD. In response, Armstrong paused, then looked nervously at the deputy city attorney and motioned toward her to speak on his behalf.